Explanation: This dramatic outburst from the nucleus of Comet 67P/Churyumov-Gerasimenko occured on August 12, just hours before perihelion, its closest approach to the Sun. Completing an orbit of the Sun once every 6.45 years, perihelion distance for this periodic comet is about 1.3 astronomical units (AU), still outside the orbit of planet Earth (at 1 AU). 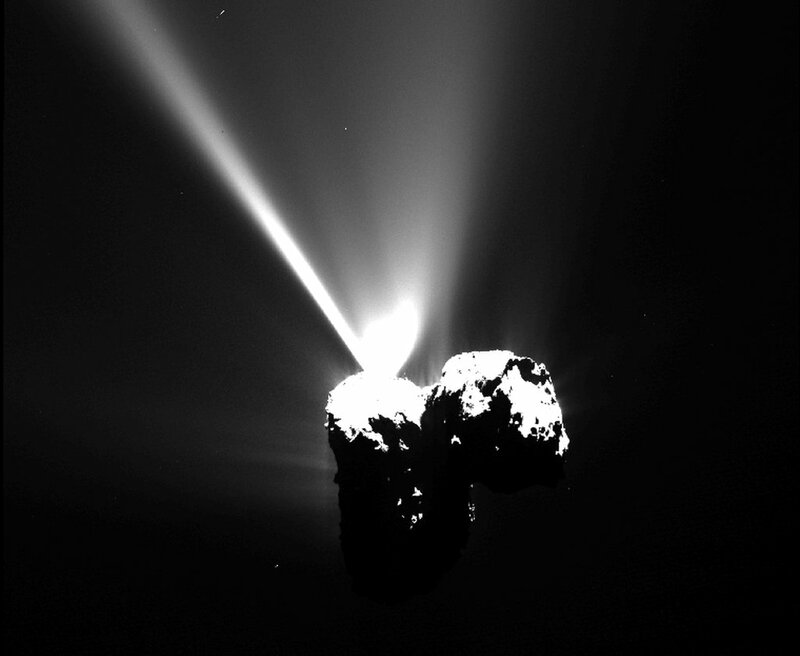 The stark image of the 4 kilometre wide, double-lobed nucleus in bright sunlight and dark shadows was taken by the Rosetta spacecraft's science camera about 325 kilometres away. 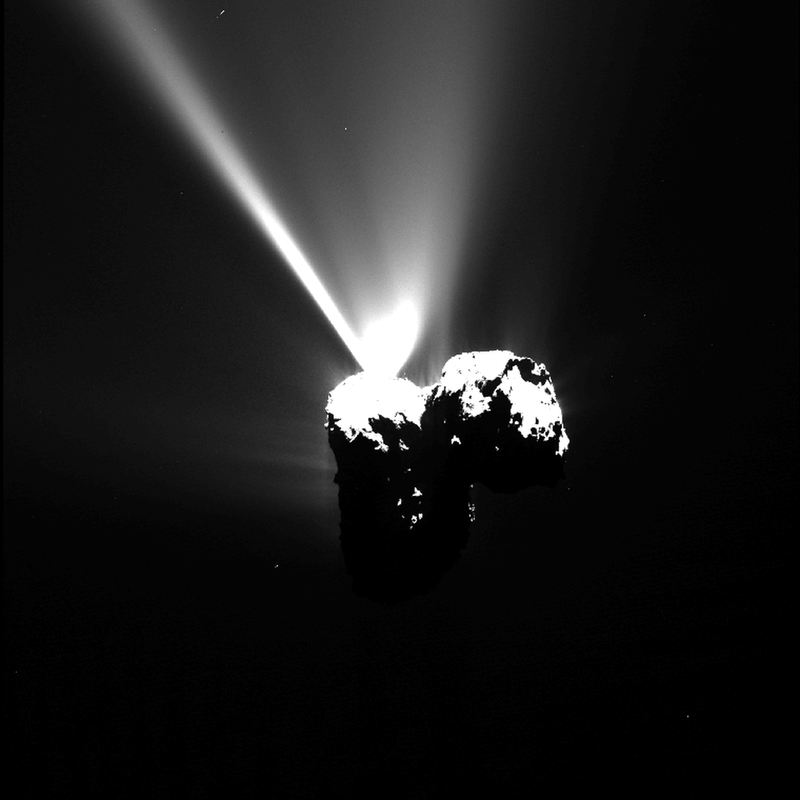 Too close to see the comet's growing tail, Rosetta maintains its ringside seat to watch the nucleus warm and become more active in coming weeks, as primordial ices sublimating from the surface produce jets of gas and dust. Of course, dust from the nucleus of periodic comet Swift-Tuttle, whose last perihelion passage was in 1992 at a distance of 0.96 AU, fell to Earth just this week.